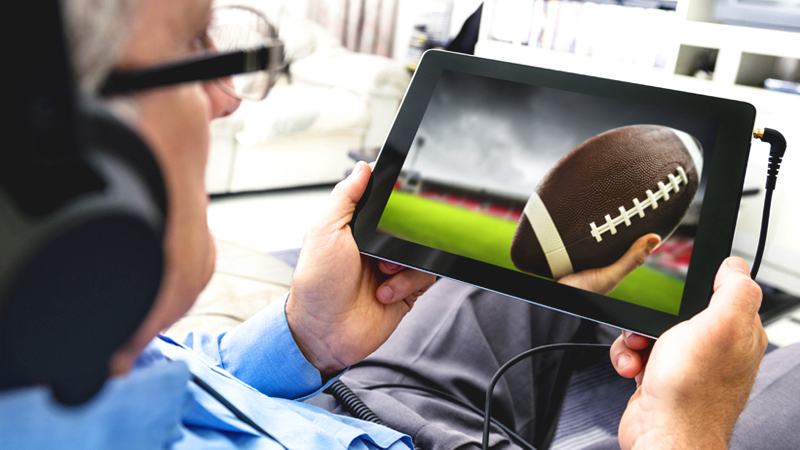 Bust out the buffalo wings, big screen and bandwidth: it’s time for the biggest football game of the year! With more people cutting the cable cord, millions of people are expected to stream the game this year. That’s a lot of data! With streaming’s growing popularity also comes the potential of running into the dreaded buffering icon (aka the delay or paused screen you see when your internet connection is not reliable enough to support streaming). So how do you minimize your chances of buffering or a “frozen” screen? Our tech experts have you covered with tips to make sure you don’t miss out on a single play. How do I watch live sports with a streaming device? If you have an Apple TV, Roku, Fire Stick or similar streaming device, you have several options. The CBS Sports app and the NFL app, as well as the Yahoo Sports app, are offering free access to the big game. Be sure that you download and test the game streaming app you plan to use ahead of time so you can ensure it works smoothly. You can also watch the game or other live sporting events on several other streaming services. Each one offers a slightly different channel lineup so you can pick the one that works best for you. Streaming services like FuboTV, Sling TV, Hulu with Live TV, YouTube TV and DirecTV Now all offer a free trial period — so you can watch the game and then decide if you want to keep the service after. If you’re planning to stream from your smartphone to your TV, be sure you’re using your home Wi-Fi. Also, it’s a good idea to close all other background apps. How do I prevent buffering while streaming sports? One of the best ways to prevent buffering is to move your router to the same level of the home as your TV. Routers are good at sending signals horizontally, not vertically. So, if your router isn’t on the same floor as your TV, you may have more buffering issues. Better yet, consider hardwiring your router with an ethernet cable. If buffering issues do occur, it’s best to wait for it to finish – it’ll most likely pick up where it froze. If you close or refresh the app, it will reload and jump forward to live. Instead, use this time to pile your plate back full of chips and dip and, for the love of Tom Brady, stay off social media! You don’t want to run the risk of someone sharing spoilers. Why is my internet running slowly while I’m streaming? Leave the competition for the field. If others in your home are planning to binge-watch or play online games instead of joining in for the game day fun, you may end up competing for bandwidth. Having multiple people on their devices at the same time can not only slow your speed, but also reduce your streaming quality. Ask them to download their movie or show in advance. That way the Wi-Fi signal will be all yours. Streaming the big game has its advantages, but there’s also one disadvantage worth pointing out: real-time delays (aka latency differential if you’re fancy). Depending on how you’re choosing to stream live events, the delay can run anywhere from 13 to 39 seconds. Not a huge chunk of time, but in football, a lot of things can happen in a matter of seconds. Best way to combat the delay is to turn notifications off on your phone while watching the game and stay off of social media. Nothing ruins the drama of a last second play like the person who yells out the winner before it happens on the screen.